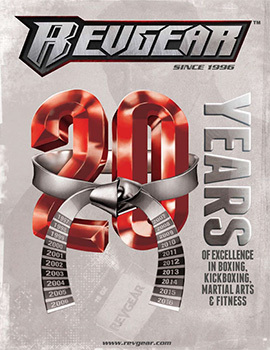 The Revgear catalog features new, never-seen-before products; Revgear Combat Series, Premier, Fightdentist™, Krav Maga Worldwide and more. Since 1996, Revgear is the gear the pro’s use, and so should you. Please Note: To download, Right-click and Save Target As or Save Link As. Catalogs are large files and may take several minutes to download.